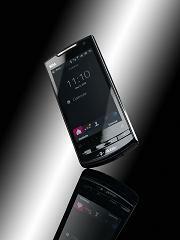 T-Mobile to release the MDA Compact V: A HTC Diamond2 by any other name? T-Mobile have just released the news that they’re releasing the next version in their MDA range, the MDA Compact V as a follow up to last yearsMDA Compact 1V. You can look forward to a 3.2 inch touchscreen with the lovely HTC TouchFlo interface, a 5 megapixel camera (with flash!). The phone works on Windows Mobile 6.1, but will be upgradeable to 6.5 later this year. You Also get integrated Sat Nav as standard and can trial the included CoPilot software for 7 days for free. The phone also comes with a built in MP3 player and a free 2GB MicroSD card is included in the box. Will you be trying Windows 7?